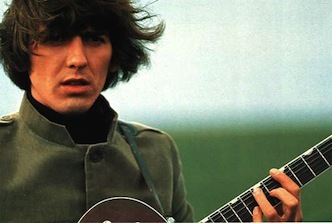 Living in the Material World is Martin Scorsese’s recently released three and a half hour George Harrison documentary. Split into two parts, with the first covering his life up to the demise of The Beatles in 1970, this is a charming and very watchable history of the eminent guitarist. Inevitably, the account of the Beatle years are the most absorbing to watch, particularly as Scorsese has uncovered a mine of rarely seen film and photographs, which gives a fresh insight into the Hamburg and pre fame period. Key players, including Astrid Kircherr and Klaus Voormann, are interviewed at length along with the expected regulars led by the still impressively dapper George Martin and Dhani Harrison, who touchingly reads many of his father’s letters. Oddly, Paul McCartney and Ringo Starr don’t add much – at least they don’t contribute anything additional to what we’ve already heard from them. However Eric Clapton and Phil Spector make some interesting contributions. There’s also some fascinating gems from the mid 60s archive, including a baffled looking Harrison and John Lennon on a forgotten talk show up against a screamingly pompous John Mortimer. Martin Scorsese has no doubt set out to prove Harrison’s worth as a musician and especially as a gifted composer. He generally succeeds, although few songs are allowed to play in their entirety. Much is made of Lennon and McCartney’s stranglehold on the Beatle songwriting duties and that the subsequent All Things Must Pass was a revelation in the quality of good material Harrison had been forced to hoard over the years. Indeed, listing to the album again I would agree that it is easily the best of the post-Beatle solo albums. For a triple album set, there’s a rare timeless quality about it. Sadly the second half of the film does drag and skips over much of Harrison’s solo work that followed All Things Must Pass to concentrate a little too much on his role as a film producer (the Life of Brian story is over told and really belongs elsewhere) and the hobby that was The Traveling Wilburys. But Living in the Material World is still important viewing, especially for Beatles fans who may need to reappraise Mr Harrison’s worth as an individual artist. 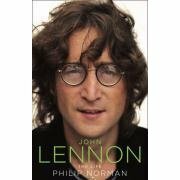 Philip Norman pieces together Lennon’s last years better than any other biographer in this, the end of John Lennon: The Life. 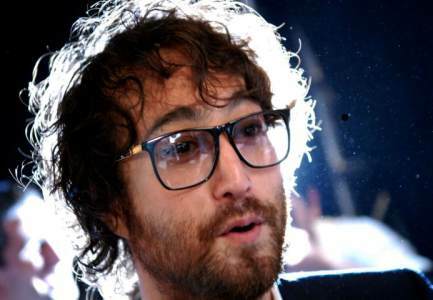 In 1975, following the birth of Sean, John Lennon decided to walk alway from the music business as his recording contract coincidentally ended in the same year. He chose not to renew it, enjoying as he would later put it, the life of a house-husband, almost pioneering the role reversal of husband at home and wife at work. Baking bread, singing lullabies, bliss. Norman, however, reveals that Lennon was far more active than other accounts have let on. As well as extensive travelling (several visits to Japan, and a sailing holiday in the Bermuda Triange) he had fleeting contact with Paul McCartney and the two were to meet, if not frequently, but had a less estranged relationship than we might believe. In the late 70s a US comedy show challenged John and Paul to revisit the studio to stage a reunion. Not only was an amused Lennon watching at home in the Dakota, but McCartney was sitting with him, and the two almost called a taxi to take up the dare before eventually abandoning the idea. At other times in this period the Beatles came close to reforming; as well as tempting financial offers John and Paul once played to a substantial audience at a beach party, and Lennon continued to write and demo songs in this supposed quiet period, one of which became Free as a Bird. Norman’s final chapters are beautifully written, almost moving, as Lennon finds the peace that eluded him through most of his life (even when he was demanding that peace be given a chance). As the inevitable end comes into view, he draws the story to a conclusion without dwelling on the aftermath of his murder and his legacy since then. Instead the book closes with a meeting between Norman and Sean Lennon. Only aged five when his father died, his memories are obviously hazy, but this makes from a memorably impressionistic account of the man, the dad who sometimes lost his temper but who cried when the family cat died. John Lennon: The Life gives a believable snapshot of the man’s state of mind when he died. Enthusiasm for what the future held (further recording, a planned trip to England) was tinged with the Beatly past he couldn’t quite shake off – the awkward presence of Paul in the world (his rival forever), continued friendship with the ever-amiable Ringo and growing resentment towards George Harrison (who chose to barely mention Lennon in his own autobiography). And a strangely unkind disregard for the brains behind the scenes, George Martin. If he couldn’t quite escape the Beatles, I still read a growing sign of maturity and inner strength, beginning to be achieved at last if all too briefly. A little old lady from Wigan or Hull wrote to the Daily Mirror asking if they could put Yoko and myself on the front page more often. She said she hadn’t laughed so much in ages. That’s great! That’s what we wanted. I mean, it’s a funny world when two people going to bed on their honeymoon can make the front pages in all the papers for a week. I wouldn’t mind dying as the world’s clown. I’m not looking for epitaphs. Looking at another hefty chunk of Philip Norman’s John Lennon: A Life, roughly covering 1963-9 – the period which started with the Beatles becoming seriously big, their conquest of Britain and the US and the beginning of their prolific run of brilliant albums, and ended with things going seriously sour, petty and bitter fallings out – the at times acrimonious break up of the band. Norman continues in his usual self-appointed role of historian, carefully setting out the facts of Lennon’s life and avoiding any temptation to fancy or judgement. As the book continues however, he is unable to resist injecting into proceedings his benefit of hindsight. 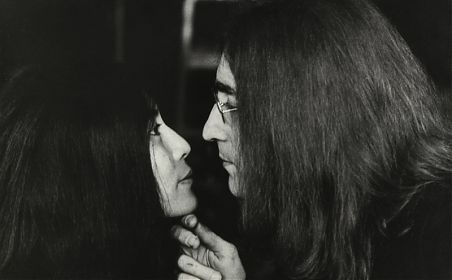 He’s very quick to find prophecy in spur of the moment quotes, for example Yoko Ono fearing that she would one day end up alone in a New York apartment, and subtle turning points in Lennon’s life. With his relationship with Paul McCartney, 1968 is ruefully labelled “the last year they would be friends”, and of the brief reconciliation between Lennon and his father, “the spell was broken, never to be recaptured”. And at times Norman takes this theme a little too far, finding the song Happiness is a Warm Gun too painful to listen to for its obvious connotations, and constantly nudging us with the fact that – in a few more chapters – Lennon will die. As biographers go, Norman is extremely kind to Yoko Ono. This is possibly because she contributed to his research for the book, so it’s odd that she eventually withdrew her support claiming that Norman had been “mean to John”. Finishing the story (in the third and final posting) may reveal her reasons why. But Norman gives the best account of their meeting and early relationship that I’ve ever read, revealing it as far more complex than Lennon made out in his later years, when he tended to look back on their courtship with rose-tinted little round glasses. Factually, Norman has really done his homework here, and I forgive him for misquoting a song lyric or two (In I’m So Tired, Sir Walter Raleigh is a stupid get, not git) and describing the Magical Mystery Tour soundtrack as the “accompanying album … selling … five hundred thousand in Britain”. It was a double EP set in this country, Philip, the album came later. Sorry to be pedantic, but you’re getting paid for this mate. I find myself continuing to read Lennon biographies as I face the prospect of outliving the man for two reasons. They’re both obvious. One is to gain some insight into the creative process of the Beatles, but as this is something that’s been done so well by Ian Macdonald in Revolution in the Head Norman doesn’t attempt to try too hard on this part. His accounts of Revolver through to Sgt Pepper and The White Album – three of the best albums ever made – are sadly pedestrian. Secondly, I just want to find out what Lennon was really like, especially as the memory I had of him (brief though it was) has faded. Norman does this very well, and there are many well constructed memories and accounts of his peculiar yet (mostly) charming personality. So far, he’s not been mean to John. I didn’t really know what I wanted to be, apart from ending up as an eccentric millionaire. I had to be a millionaire. If I couldn’t do it without being crooked, then I’d have to be crooked. I was quite prepared to do that. Although I have an unquenchable thirst for anything John Lennon or Beatle related, these pages have been strangely silent over the last two or so years when it comes to the Fab Four. Patiently I’ve waited for a decent new biography to get my teeth into, and now we have Philip Norman’s 822 page John Lennon: The Life. To do Norman’s mammoth work some justice I’m going to spread my thoughts over more than one post. Besides, I haven’t finished it yet. Also I’m away next week and the heavy hardback will take up most of my hand luggage. I’ll have to wait until November to finish it. There’s been times when I’ve wondered if I’d ever need to read another Lennon biography. I’ve probably read more than my fair share. Strangely, Norman’s other Beatle-themed book Shout, doesn’t stick in the mind much. Ray Coleman’s two biographies of the 80s are much more memorable, and reading them at an impressionable age I held Lennon in the same awe as Coleman. Albert Goldman’s The Lives of John Lennon is also unforgettable as it paints such an awful, and often unqualified, picture of him. The Hunter Davies Beatle biography from the late sixties is fun, as is Michael Braun’s Love Me Do, fascinating for being one of the first books published about the moptops. But I suppose my all time favourite is Ian Macdonald’s techy but brilliant Revolution in the Head. So the question remained, did I need another Lennon book? And reading the opening chapters of John Lennon: A Life I began to worry that maybe I didn’t. A lot of the detail of Lennon’s early life was very familiar, especially his schoolboy exploits with his partner in crime Pete Shotton, and could easily have been cribbed together from the selection of titles I’ve already mentioned. However, Norman kept me reading because I suspected he was looking at this life with the canny eye of the historian. He weighs up the facts carefully and does not commit to making sweeping statements, for example not subscribing to the general view that John’s father was a scoundrel, abandoning the boy and his mother and only returning when he smelt money. Norman draws the picture of a much more complicated story, and for the first time reveals John’s father as not being such a black and white villain, but an unlucky man often prone to unfortunate circumstances. Norman also handles the well worn legends very carefully, trying to avoid the apochryphal tales. The tragic death of John’s mother when she is run over by an off duty policeman is treated without the sensation of some other biographies, as is the other tragic death in John’s early life. The sudden demise of “fifth Beatle” Stu Sutcliffe aged 22 is related without the usual romanticism, which results in making this loss very moving. And Norman is also careful about the Goldman-fuelled rumour that John was indirectly responsible for his friend’s death by attacking him in a drunken brawl. He doesn’t jump to conclusions about what might or might not have happened because we will never know. The other turning points in the story arc of the early Beatles are treated with similar care. Norman doesn’t give too much time to the sacking of Pete Best, and, like him, I quietly conclude that it was the right decision to get rid of him. Me, I’m a Ringo man. The supposed gay affair between John and Brian Epstein is also played down; there simply isn’t enough evidence to prove what happened one way or the other. What Norman does do, however, is expose the cruel and dark side of Lennon’s nature that is reliably documented; his violent assualt on a DJ friend that was covered up to avoid a Beatle-ruining scandal, the appalling treatment of Cynthia Lennon, the “secret wife”, and Lennon’s countless affairs. But he was a mixed up fucker and this made him a great artist. John Lennon: The Life reminded me of one of my favourite books about the 1960s, Dominic Sandbrook’s White Heat. This gives a similarly intelligent, well researched and careful account of legendary, fantastic and life changing events. And you can’t really avoid reading the Beatles and John Lennon story just one more time once you start doing so, especially when it’s put together so well. Of course I’m only so far; the Fabs have only just released their second album With the Beatles. And listening it again today I’m reminded of its charm, sense of excitement and timeless longevity. So turning the pages still only in 1963 I’ve a long way to go yet. I hope you’ll join me for the rest.